Planning to visit Macedonia? Good choice! I went here last year, and I loved it. While it’s not your typical destination, it’s certainly a destination that deserves far more attention. Here are 15 Reasons why you should visit Macedonia! Did you know that Macedonia produces great wines? I had no idea when I arrived, but already at our first restaurant visit I found some great local wines, and they were cheap too! When I got back home I did some research and read that wine has played a big role even since Roman times, and in the former Yugoslavia, Macedonia produced a big quantity of wine. When I got back home I did some research and read that wine has played a big role even since Roman times, and in the former Yugoslavia, Macedonia produced a big quantity of wine. I love being outdoor, and even more when it’s not crowded. In Macedonia, you can enjoy beautiful nature without having to share it with hundreds of other tourists at the same time. Beautiful lakes, big national parks, and mountains combined with a wide range of outdoor activities make it a great destination for all outdoorsy travelers. 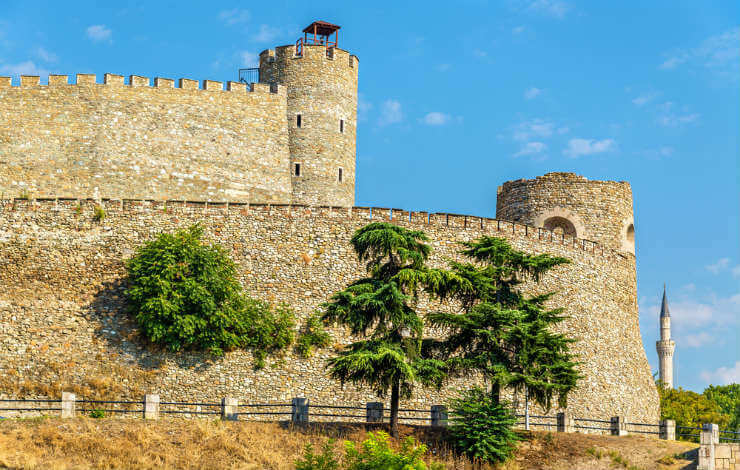 You don’t have to worry about breaking the bank while traveling in Macedonia. The price levels are way cheaper than the European average, and I found it was not only affordable but we also got great value for the money we spent. How many of you have been to Macedonia? Hands up. Probably not that many, and that’s another reason why you should visit Macedonia. It’s unexplored, and you will find hidden gems everywhere. I love traveling to countries that aren’t crowded with tourists. It’s something exciting to explore new places! 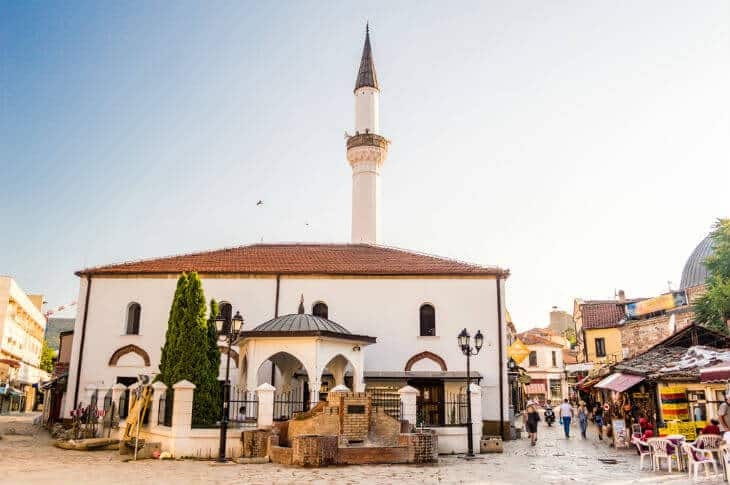 The history goes way back, and Macedonia is actually one of the places that have been settled the longest in Europe, and there is evidence showing that a civilization flourished here as early as 7000 years BC. That means you will find plenty of historic sites here. The location itself is interesting too because the region has had so many different eras and rulers over the years. So, if you like history this is one of the places to visit in Europe! The Macedonians are in general warm and welcoming, and the majority of them understand and can speak decent English. Most younger people can speak English without a problem, and many from the older generations understand and can speak a little English. I found the Macedonians to be very chatty and interested in what I thought about their country. Many even showed interest about Sweden and what it was like living there. It’s not only the wine that’s delicate here in Macedonia, the food is also nice and another good reason to visit Macedonia. There are plenty of restaurants to choose from who serve authentic Macedonian cuisine. Some dishes that you should try include Tavce Gravce, Pastrmajlija, Kacamak, and of course Turli Tava. While I haven’t been everywhere, I’ve been to some nice places in Macedonia and others recommended from friends. I really liked Skopje, it was a vibrant city full of restaurants, bars, and a nice vibe. This was combined with the old parts with cobblestone, the fortress and all of the majestic statues, squares, and museums. Skopje also had good shopping, and it was easy to get around. Fresh air, hiking, quaint villages are just a few reasons why you should explore the national park Mavrovo. The St. Jovan Bigorski Monastery is also a place of interest. 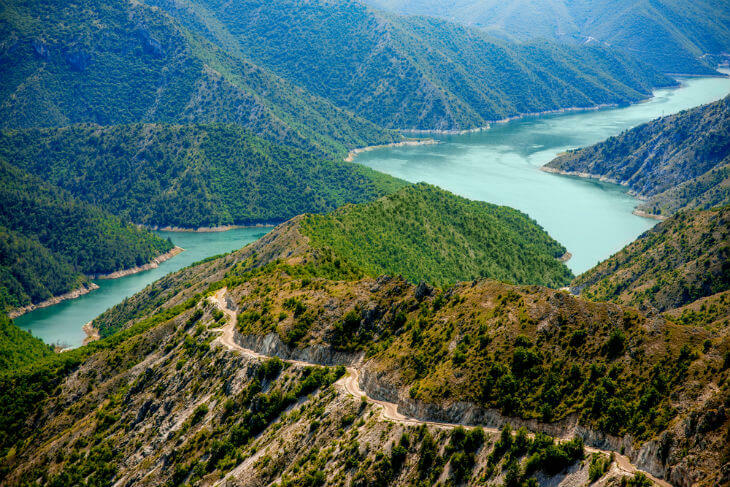 The oldest of Macedonia’s three national parks offer beautiful views and a rich wildlife. From the photos, you can see that this is a magical place, and it’s probably the most famous place among tourists in Macedonia. 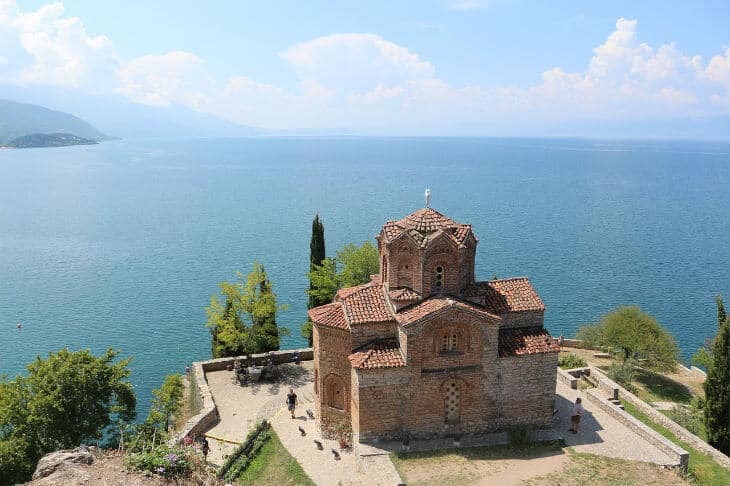 The natural beauty speaks for itself and Lake Ohrid shouldn’t be missed out. Stay at least 1-2 nights and indulge nature, go for a hike and enjoy some stunning scenery. Also, don’t miss the Monastery of St. Naum, where you can admire some of the best fresco paintings in all Balkan. Mentioned as the Macedonian version of Las Vegas, Gevgelija will give you a good time if you like casinos, resorts, and spa treatments. galleries, nightclubs, and concerts. One of Macedonia’s most significant historic cities, which was first founded in the 7th century. The reason why Stobi became an important city is because of its location along an old Roman trade route. It’s just a short ride from Skopje, and if you have time, you should go here! If you love wine, you shouldn’t miss out on visiting Povardarie, which produce some really good wines. The most popular varieties are Vranec and Smederevka, and there are several wineries where you can go for a wine tasting experience. 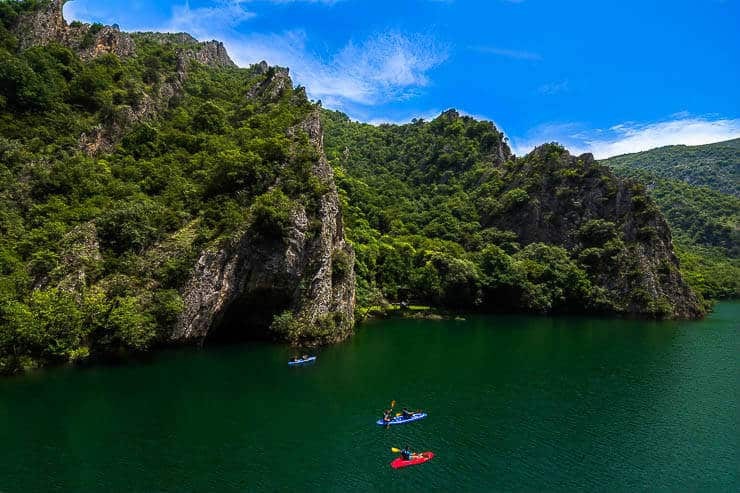 Another natural spot, but a bit closer to the capital of Skopje, just a 30-minute drive away. Go for some kayaking here and walk along the Canyon walls. The color of the water is remarkable, and if you feel adventurous there are also some caves that you can explore.